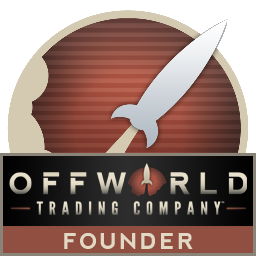 Set to release this spring, the new Offworld Trading Company expansion, Jupiter's Forge, will let you explore Jupiter's volcanic and volatile moon, Io. Profit is to be had and energy is plentiful here, but life support is so difficult that it makes Mars look like a paradise. CALLISTO AND GANYMEDE NEXT PLZ!!! Ganymede should be interesting and create an opportunity to create a floating empire upon an endless ocean!